ʻUluʻulu is Hawaiʻi's official state archive for moving images. Located on the University of Hawaiʻi - West Oʻahu campus, the archive is dedicated to the care, preservation, and digitization of film and videotape related to the history and culture of Hawaiʻi. Search the catalog, explore the collections, and watch some movies! This year's theme for Hawaiʻi History Day is “Triumph and Tragedy in History.” The resources selected cover Hawaiʻi-related topics from the Center for Labor Education and Research (CLEAR) collection: the Hilo Massacre (1938); the Great Hawaiʻi Sugar Strike (1946); the Great Hawaiʻi Dock Strike (1949); and Statehood (1959). Historian Barbara Kawakami grew up on a sugar plantation. In the 1980s she helped CLEAR produce several programs on plantation history and culture. Kawakami’s work has inspired a donation by Frank Moy and Marcia Mau that has enabled preservation and digital access to the CLEAR Rice & Roses Collection. The Daniel K. Inouye Institute’s Oral History Project was a chance for people who knew Inouye well to relay their experience as a friend and colleague. This theme showcases a selection of interviews honoring the life of the late Senator. This theme celebrates the recently completed digital preservation work on Listen to the Forest, a 1991 documentary film produced by Eddie and Myrna Kamae about the biodiversity of Hawai‘i’s rainforests, and the unique relationship of reverence that continues to exist between Hawai‘i's native landscape and its native people. The struggle to reclaim Kahoʻolawe and stop the U.S. military from using the island as a bombing site began in the 1970s, as members of the Protect Kahoʻolawe ʻOhana filed suit in Federal District Court. A settlement was reached and the island was to be surveyed and protected. It was through the effort of local activists that the island was to be secured as a historic and cultural site. 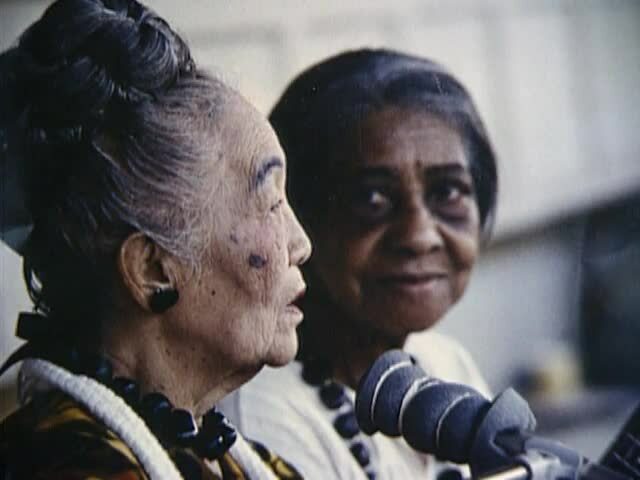 At this year's Hawaii International Film Festival we honored those who courageously documented the early days of the Native Hawaiian movement and acknowledged how these images are being used today. ʻUluʻulu recently acquired the complete collection of the late entertainer Don Ho’s films, videos and personal memorabilia from the Donald Tai Loy Ho Trust. The extensive collection from Hawaiʻi's most famous entertainer includes archival film and video footage and related personal memorabilia from the early 1960s through 2007. Here we highlight some of the efforts of the Hawaiian Sovereignty Movement – speeches, marches, demonstrations, discussions, events and legislation all related to educating people about the history and sovereignty of Hawai‘i. This theme highlights the life of Senator Daniel K. Inouye. The HKG Pilot Project was a collaborative effort between ʻUluʻulu and local archives, museums, libraries, television stations and independent producers to create a digital collection of Hawaiian film and video. Much of this footage had not been seen in over 30 years until it was digitized in 2011. During our Pilot Project, ‘Ulu‘ulu preserved and digitized over 350 hours of culturally and historically significant Hawaiian footage from the 1920s -1990s. Here is a glimpse of some of the treasures we have been able to save and now share. Support our programs by making a gift through the University of Hawaiʻi Foundation.